It is a very common practice for sites to remove zero-width unicode characters. Unicode alone has like 30 different characters for "space" I think and many sites like Facebook just strip them all out but the common space. I'm all for this, but I don't think it should be stripped from code blocks. It is needed in these. Removing characters from code blocks can produce buggy code when users copy paste them. In my referenced answer above I had to include a link to pastebin where the U+0007 character was not removed. I'd imagine most characters from U+0000 - U+0020 are auto-removed from posts (including inside codeblocks). Yes, we filter some unprintable control characters, and I doubt this is something that we're likely to relax without a lot more discussion. In the case of code golf, I would recommend using some form of token to represent the unprintable character (so \7 for BEL, for example - or U+0007 as you used in the question). I don't think we're going to support answers in native "whitespace"
There are reasonable exceptions, though: imagine such a ban on Chinese Language (beta). One could propose a similar exception for Programming Puzzles & Code , as there are a few exotic programming languages that deliberately make use of Unicode characters. In addition to the special characters defined in the Unicode Standard for a number of purposes, the standard incorporates the legacy control codes for compatibility with the ISO/ IEC 2022 framework, ASCII, and the various protocols that make use of control codes. Rather than simply being defined as byte values, however, the legacy control codes are assigned to Unicode code points: U+0000..U+001F, U+007F..U+009F. The Unicode Standard provides for the intact interchange of these code points, neither adding to nor subtracting from their semantics. The semantics of the control codes are generally determined by the application with which they are used. That means that, for a web interface, the exact behavior of inserting these characters is determined by the local user interface: your browser. Browsers in general can handle only a very few control characters (the two return types and tab are the only ones I can think of), and, even more, they usually do so through the intermediary form of a HTML page, which has even more restrictions. Simply put: there is no valid way to insert these essentially non-HTML compatible characters in a compatible way. 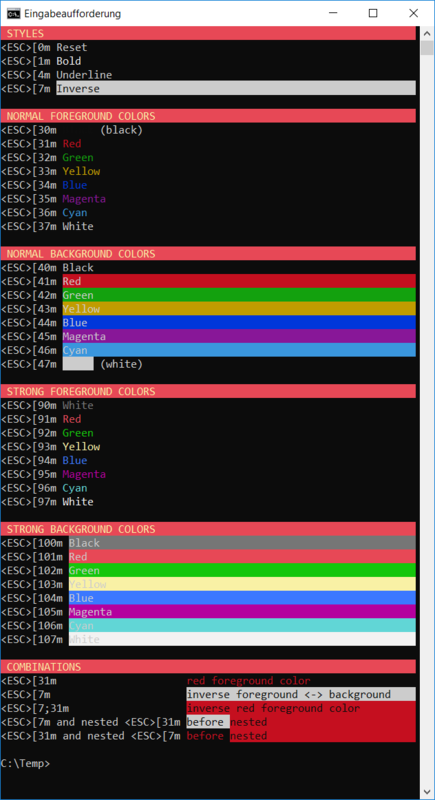 It is not a limitation of code blocks either; code blocks are formatted by SE's local version of Markdown to regular HTML. 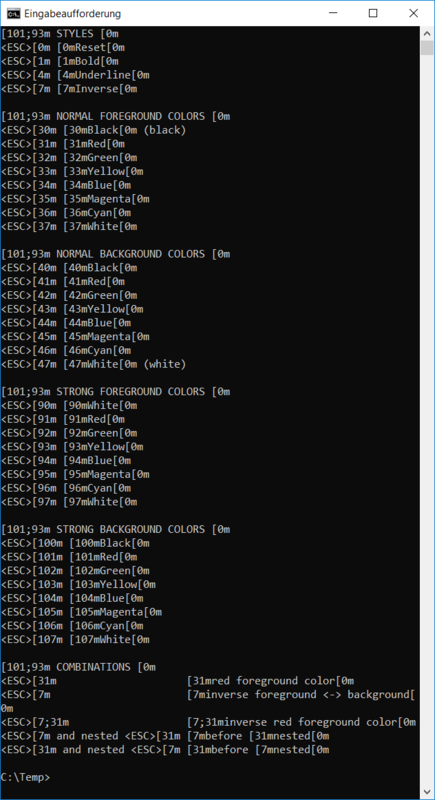 Filtering UNICODE Letters from Code destroys colors in Windows Batchfiles, because the \U+001b Letter is removed. Because of removing this Letter, the command sequence is printed to the user, instead of being processed. Not the answer you're looking for? Browse other questions tagged bug code-formatting code . Can posts to Stack Overflow be fingerprinted using hidden Unicode characters? Why does code formatting not work in this question? Why have strings within certain language-syntax code blocks gone green? How do I tell Stack Overflow that my post DOES NOT contain code?